A new year is a great time for a fresh start! What do you need to do to get your home in better shape for 2019? Many have jumped on the Kondo bandwagon with the launch of Marie Kondo’s new show on Netflix – “Tidying Up with Marie Kondo.” The show offers practical steps to address clutter that are useful if you want to enjoy your space more or to prepare for a move. Whether you have a little or a lot, there’s surely an area (or more!) in need of TLC. We’re not here to suggest you aim for perfection, but we do love the idea of passing along items you no longer need. There are so many wonderful local charities that would benefit from your in-kind donations. Let us know if you need names of organizations to come pick your items up! For those of you preparing for an upcoming move, particularly sellers, decluttering is a MUST. The first impression of your home is everything! When potential buyers don’t feel at ease in your space their attention shifts to your mess instead of the high points your home has to offer. We will work with you to get tidy before listing. 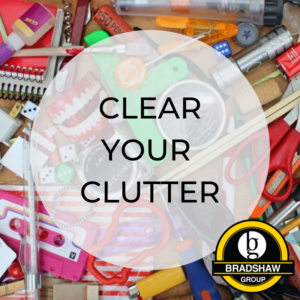 If it’s a big job, we’ve got folks we can call in – like JDog Junk Removal or a professional stager to suggest ways to organize. Call on us anytime at 913.402.2599! Find a place where you can tuck away a trash bag or box. When you come across items you no longer use, drop them in right away! This is a super easy way to collect on a regular basis. As your bags/boxes get full, call for a pick up and keep future clutter at bay! We’re already taking listing appointments for spring. You read that right! The demand for inventory across the Kansas City market provides a great opportunity for people thinking about moving. Many of our clients have experienced the benefit of a sellers’ market throughout 2017 where homes are selling quickly and at good prices. And, quite of few of these sellers received multiple offers and/or sold over list price! With similar market conditions expected in 2018, we’re already taking calls and making appointments with clients who want to get a jump on the spring market. Typically by this time in November, we’re seeing market activity taper off. But signs of holiday decline aren’t showing as early this year. In fact, homes are still coming on the market, even with Thanksgiving just two weeks away! This in and of itself is an indicator of the need for more listings. The buyer demand is there and it’s strong. Winter is a smart time to take advantage of time indoors to get your home ready to be ahead of spring competition! Prepare Your Home to Sell Now and Be First to Market! Our listing appointments generally take about an hour, and there is no prep work required on your part. There is also no commitment required from you. We will bring recent market data from your surrounding area to discuss pricing nearby to so you can determine if a move in 2018 makes good financial sense for you. We will also ask for a tour of your home so you can share any special features or updates you have made to the property. This is important for two reasons. One, it helps us determine where you home ranks in value compared to your neighbors for strategic pricing. Two, it lays the foundation for a pre-listing checklist of items that need to be addressed before your home is staged and photographed to market. We have a solid grasp on what area buyers are looking for and can use that insight to ensure your home is in top condition to list. You never get a second chance to make a first impression, and it’s our job to make sure that impression is the very best it can be! If you have a particular agent on our team you’d like to invite to your home for a listing appointment, you can find individual contact information here. 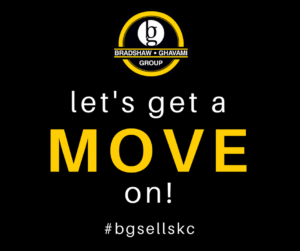 Otherwise, you can reach us anytime at 913.402.2599 or info@bgsellskc.com and we’ll assign your appointment to an agent who is very familiar with your neighborhood and surrounding area. We are excited for what’s to come in 2018! At ReeceNichols we are working diligently to stay informed and taking the steps we can to help protect our clients. While some of this may seem common sense, it’s important to understand just how legitimate these phishing scams may come across. In fact, we’re now asking our clients to sign a form during a transaction to ensure you are aware of these possible scams, as well as to share information on how to protect your private financial information. We have also implemented a two-step verification process to all of our email accounts as an extra security measure. When buying or selling a home, you are involved in a transaction where money is changing hands – making you a potential target for cyber-criminals. These sophisticated criminals could try to hack your email account or the emails of others involved in your transaction, and direct you to send a wire to the hacker’s account. They can even send emails that appear to be from your agent, closer or other trusted source. If you receive wiring instructions, even if it appears legitimate, do not take action without first verifying the request. Always call to confirm such instructions. Likewise, be cautious when closing with another company. Contact the closer directly before wiring any money to ensure it is the closing company you’re transacting with. Do not use a phone number or other contact information from an email. Use a business number from another source (like the closing company’s website) to make sure you are talking with your closer, not a potential criminal. We’re always available if you have a concern. We will do our best to answer any questions you may have and can also connect you with resources if you believe you have been the target of such a scam. Contact us anytime at 913.402.2599. Monday is the first day of spring! And with that will come all the spring cleaning checklists for a fresh start to the season. We can totally get behind spring cleaning and all of the great lists out there – after all, routine home maintenance is key to protecting your home’s value. But for many, the idea of spring cleaning is overwhelming and therefore gets skipped altogether. If that’s you, rather than go all in for a top-to-bottom spring clean, pick one project and do it well! Even the most organized and tidy homeowners don’t tackle the “big” projects on a regular basis. We’re suggesting six projects to choose from – three indoor and three outdoor – and, including links to make it easy to start. Find one that’s manageable for you! Clean Out the Fridge: If you’re like us, you probably wipe the fridge after spills and maybe when you’re clearing space to add groceries. But this is home for all your perishable food and drink. A good deep clean several times a year is warranted. Once it’s shiny clean, think about pulling it out from the wall to vacuum away excess dust. Dust Baseboards & Window Sills: No one has time to deal with these regularly! Even if you tackle your baseboards and window sills once a year, that will make a difference in your home’s cleanliness and appearance. Dust Blinds & Fans: Just like the baseboards and window sills, we’ll bet these aren’t on your weekly cleaning list! Some will vacuum, some will use a duster, and some will use a rag and spray to get at the blinds and fans. Do what’s easiest for you! Clean & Paint the Front Door: A clean, bright entry is one of the fastest and most cost effective moves you can make to boost curb appeal. A fresh coat of paint will make a big impact! Rake & Replace Mulch: While this is one of the pricier projects of the ideas we’re suggesting, spring is the season to do this – especially if you’re planning to list your home for sale. New mulch will really make your beds pop! Clean & Organize the Garage: This is a biggie for one project, but it will make your home more functional and pleasing – we promise! No more tripping over shoes as you’re trying to get in the door, or balls rolling under the car when you try to back out. Getting salt off of concrete is also important. Here’s to a beautiful KC spring! If you have bigger projects you need help with around the house, let us know. We work with lots of area vendors we would be happy to recommend to you. 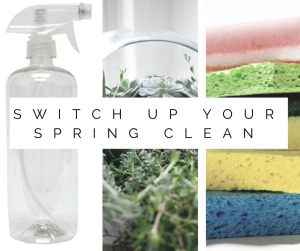 And if you’re spring cleaning as motivation to get your home ready to sell – we’re ready for that, too! Our professional stager can come out with us to make a punch list of projects to tackle before you list. You can schedule an appointment for this with us anytime at 913.402.2599. It’s Time to Sell: Do These 5 Things Now! Inventory across KC is still really low, making it a great time to sell! Where were traditionally see homes popping up for the spring market in February, we’re already seeing movement in 2017. The good news is, if spring is your set time for listing, you have plenty of time in the weeks ahead to get your home shiny and bright! And if your time frame isn’t firm and you want to get a jump on spring competition we can get your home market-ready and listed fast. Declutter, declutter, declutter. And de-personalize while you’re at it. Go room-by-room, level-by-level … whatever will work for you. Pack items you want to keep and get them out of site. If you have items in gently used condition you no longer want, find a local charity and arrange a pick-up (here’s one). Other items you aren’t using should go in the trash. Set a clean, tidy space that buyers can envision as “their” home. The more they relate to your home, the better! Fix it Up! If you’re aware of an issue with your home, it’s easiest to resolve before listing. Some problems you can probably address on your own. If you need a professional, here’s a list of folks we trust. Let us know if you don’t find what you need and we’ll get it for you. Don’t forget little projects like making sure all lightbulbs are working or touching up paint on wall blemishes. Give a Deep Clean. This is one you can do on your own to save money. However, if your home needs a little extra TLC, it might be worth investing in a professional cleaner. Same goes for carpets. If yours show dirt, stains or odor, bring in a carpet cleaner. A clean slate goes a long way toward a good first impression! Spruce Up Curb Appeal. Walk your property. Examine the exterior of your home, as well as your lawn and landscaping. Clean up any debris or items that should be stored (balls, toys, leaves and sticks). Do you have bushes in need of a trim? Would fresh mulch make your front beds pop? Is your exterior paint in good condition? Would a bright front door add curb appeal? Call Us! At this point we can come in with our stager and photographer to start the marketing side of your listing. But, feel free to bump us up to #1 on the list if you want input and help with the items above! We can come by anytime and review your home to provide suggestions for updates and to prep it for sale. As market experts, we offer guidance on where you will get the most bang for your buck. We can also give you a market report so you know the activity in your neighborhood and the comps. 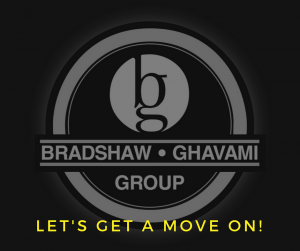 We will work with your timeline to get your home listed and sold so you can move on to the next step … buying! You can reach us anytime at 913.402.2599! We’re already taking listing appointments in 2017 and would love the opportunity to sell your home. As always, thanks for your continued business and your kind referrals!